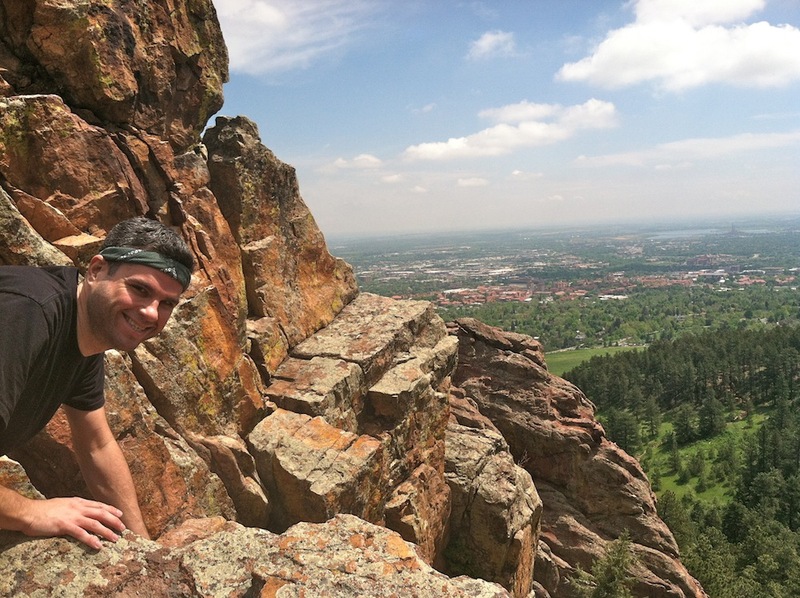 An Improvised (and Stunning) Colorado Hike | Keep It Up, David! 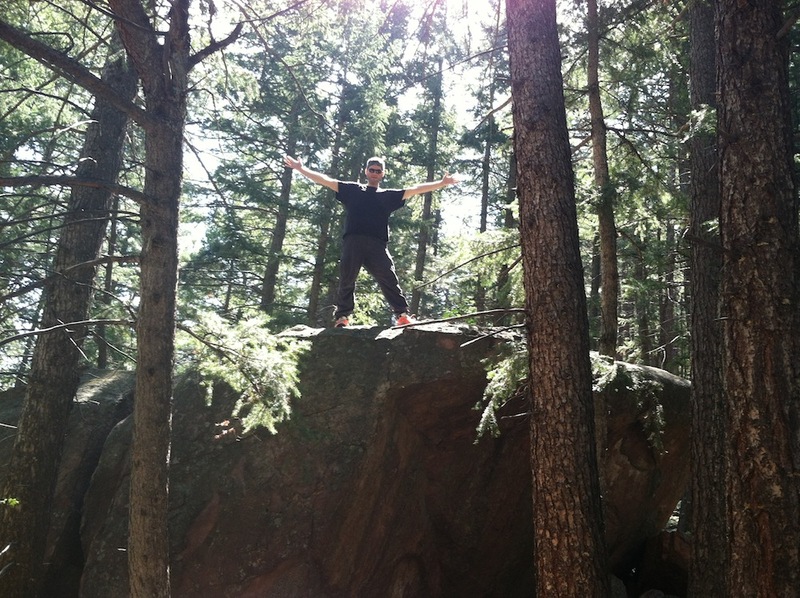 The hike was definitely an adventure, because we ended up nowhere near our intended destination. But we improvised, and in doing so, found that spectacular lookout point, as well as a few others. 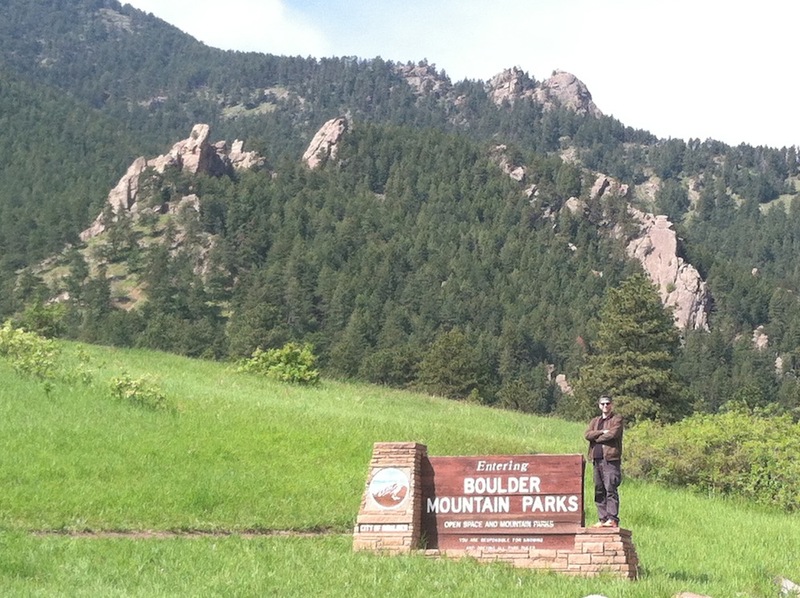 We were hiking in Boulder Mountain Parks, a huge undisturbed area with miles and miles of trails and gorgeous scenery. Our first unexpected detour happened as we pulled up, because the parking area we were heading to was closed due to flood damage. 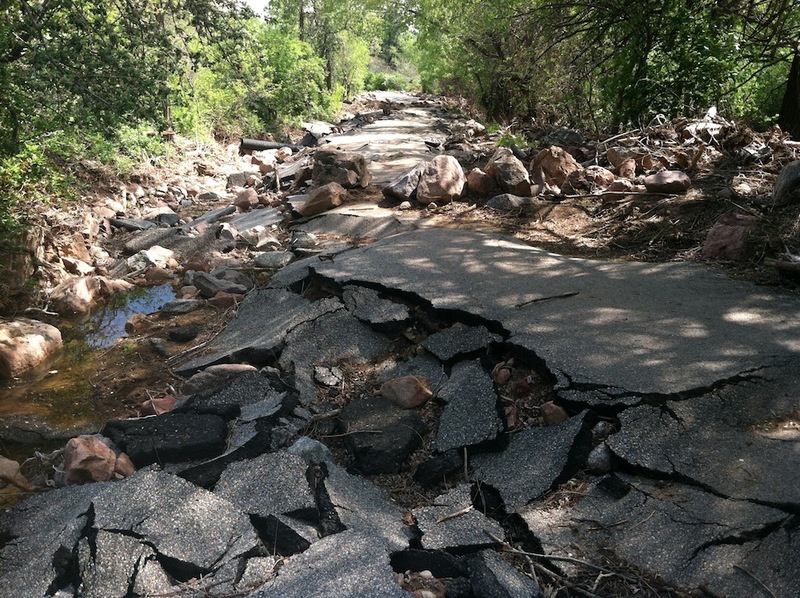 Last fall, Boulder County experienced terrible flooding. Four people died. Over 900 homes were damaged or destroyed. 150 miles of roads needed to be repaired or replaced. Because repairs on this road haven’t been completed yet, we had to park a quarter mile further away. Believe me, I’m not complaining. A little walk is no big deal when so many people lost homes or loved ones. 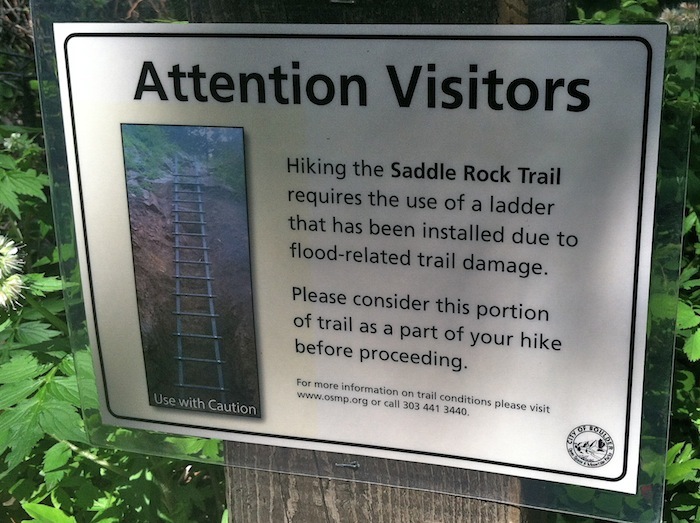 Climb a ladder on the trail?! Sign us up! 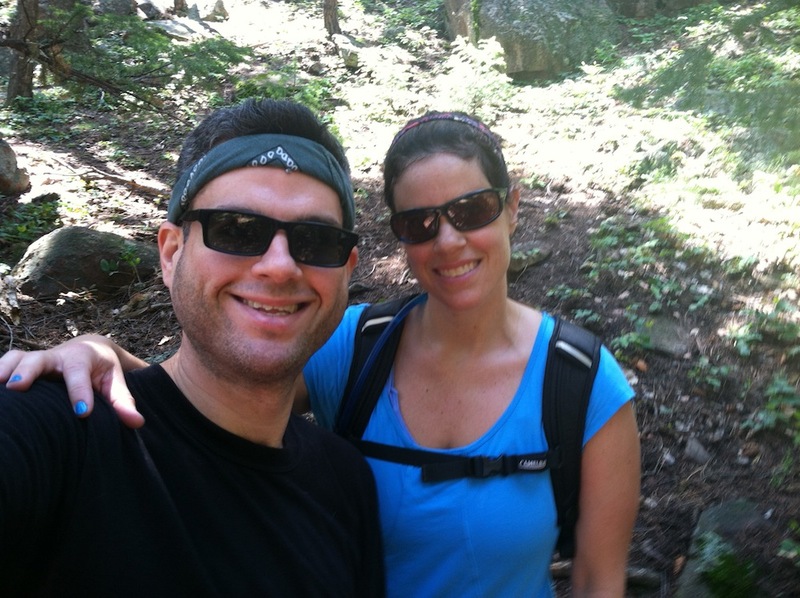 Sarah and I were excited about the prospect, and up the trail we went. It was a steep climb. The trail had a steps built into it, and before long, I was feeling it in my legs. About a half-mile up, we came across another sign. Saddle Rock Trail was closed from this point forward. Bummer! 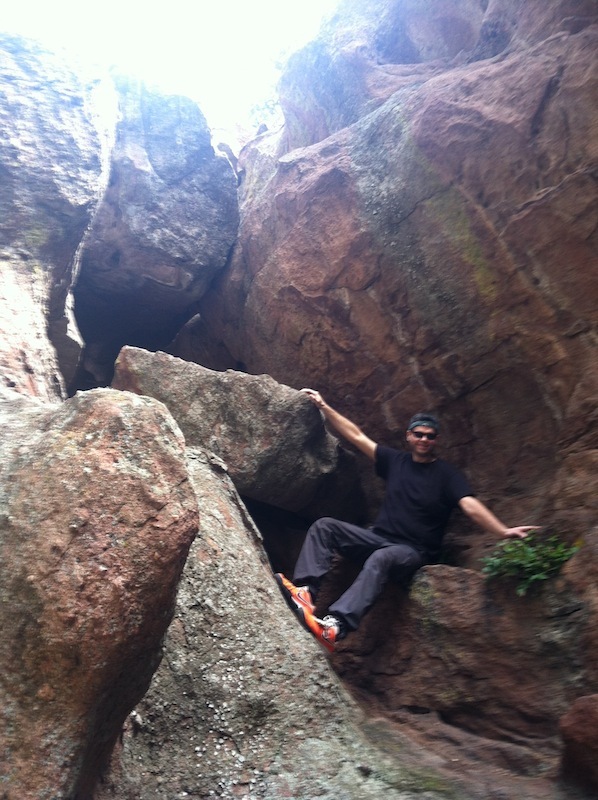 We noticed a sign for another trail, though – the Amphitheater Rock Trail, so we improvised, and headed that way. 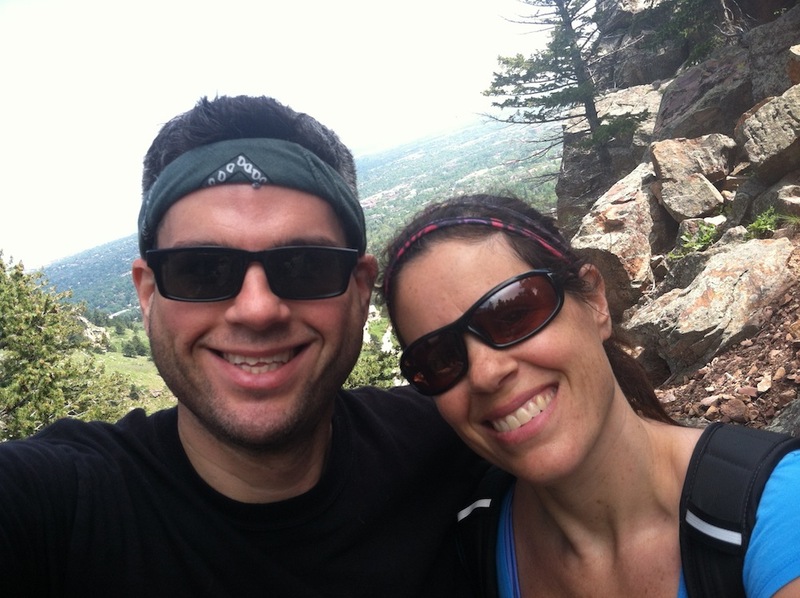 …only to find, minutes later, an even better selfie location, with the whole city of Boulder behind and below us. Amphitheater Rock Trail headed back down to the main road, and our hike ended up being much shorter than we were planning. 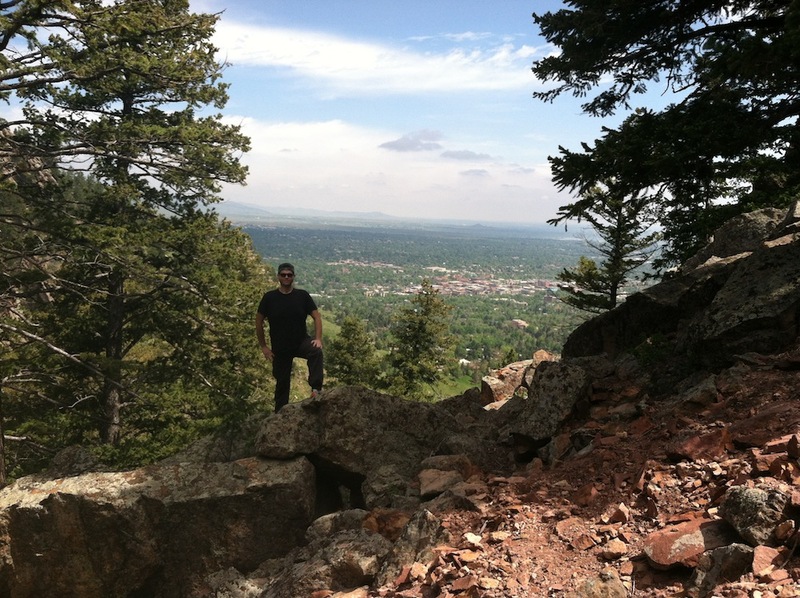 So we extended our hike by another 35 minutes or so with a second climb up Flagstaff Trail, which also quickly rose in elevation. By the time we made it down from Flagstaff, we had spent nearly 2 hours exploring the area. I had used an app on my phone to collect some data, and it was a fantastic workout! 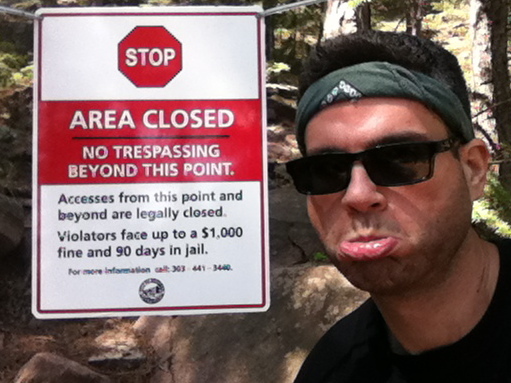 Next Time: More photos from Colorado, including stuff I ate and other things we did! This entry was posted on Tuesday, May 27th, 2014 at 12:15 am and is filed under Uncategorized. You can follow any responses to this entry through the RSS 2.0 feed. You can leave a response, or trackback from your own site. Trail with ladder was closed, so no double stepping. Shwings were awesome, though!